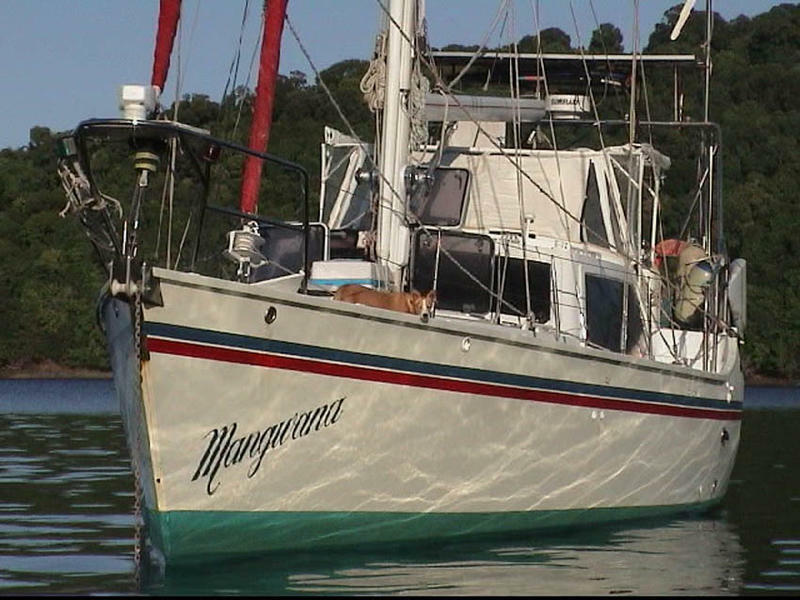 A proven bluewater cruiser, we lived aboard “Mangwana” as a family of five completing a world circumnavigation from 1(# removed). 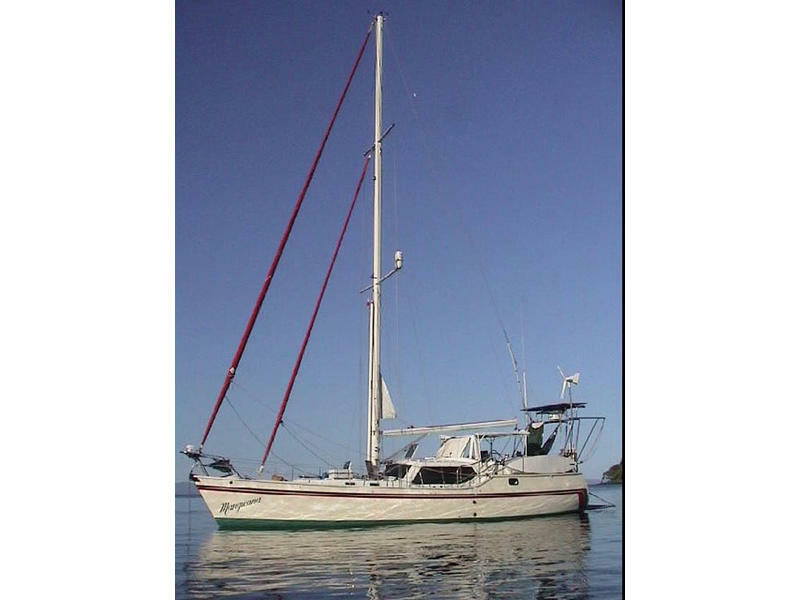 “Mangwana” is built super strong and is ideal for extended cruising, setup to be easily sailed singlehanded. 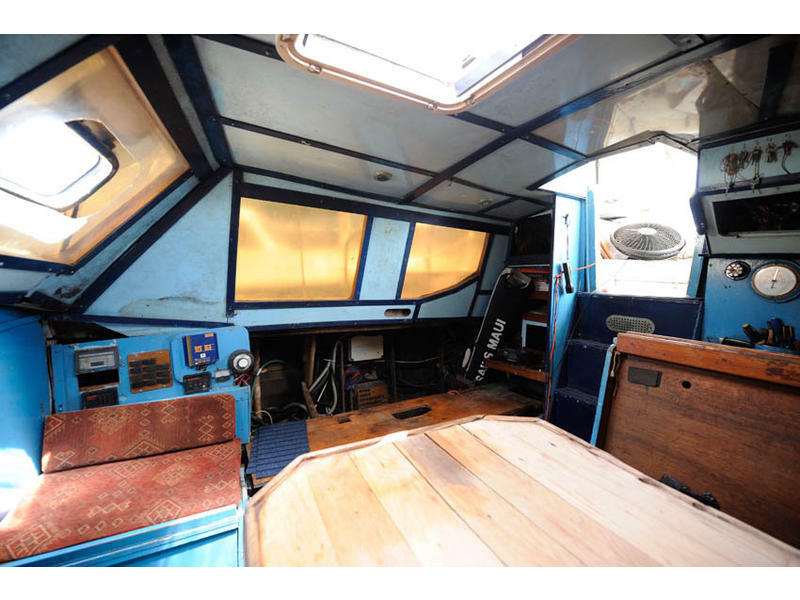 The boat is a project, but once finished you have a great cruiser. 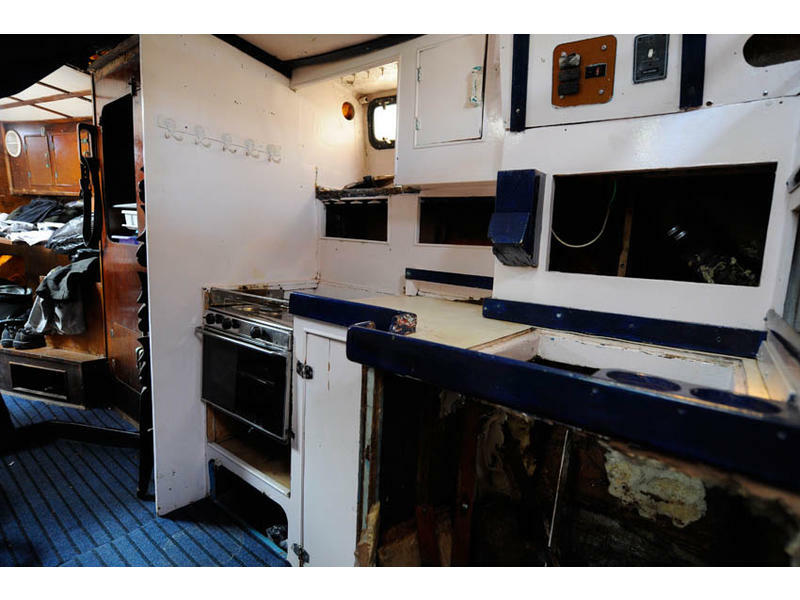 Mostly work on the interior, as there was damage from some rainwater that leaked in while sitting. Designed by Dudley Dix and Built in South Africa by Vickers to very high standards. 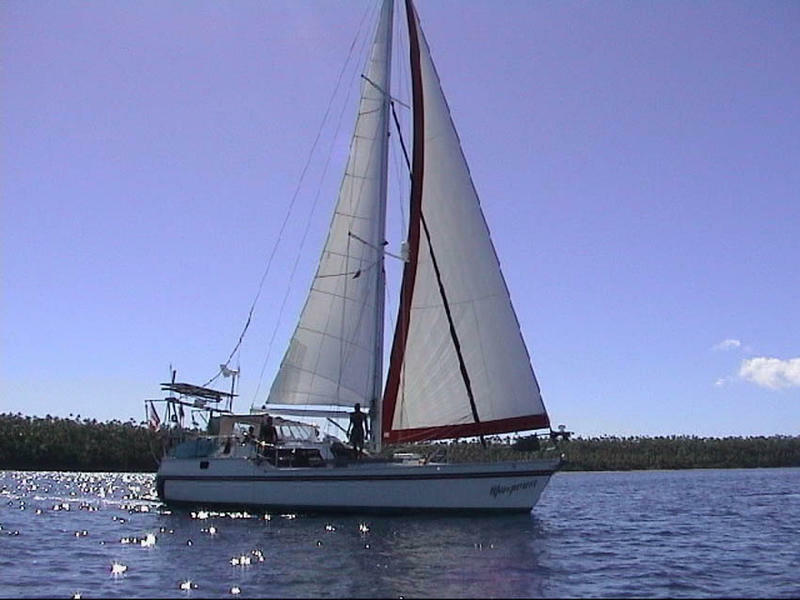 The hull is modern and features a long waterline for load carrying and performance. 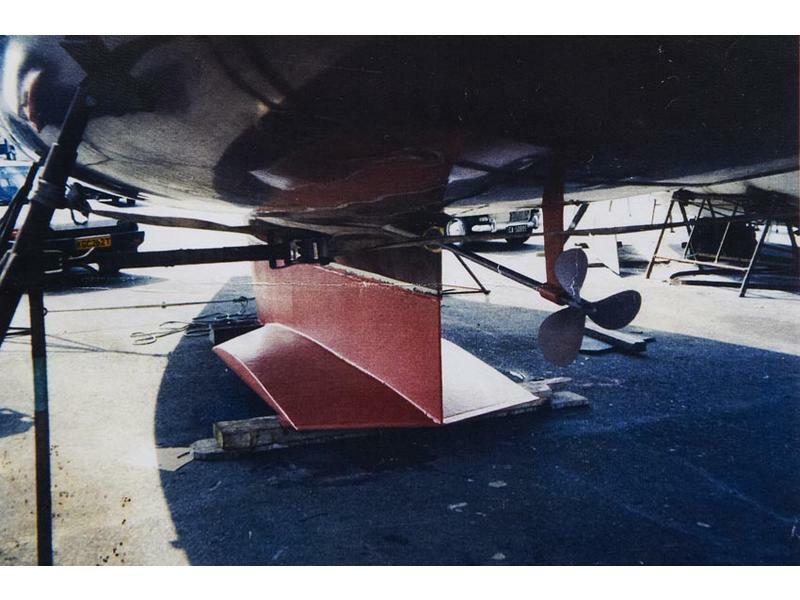 The waterlines forward are fine for wave penetration and the stern is broad and powerful with drawn out sections for speed and good control downwind. 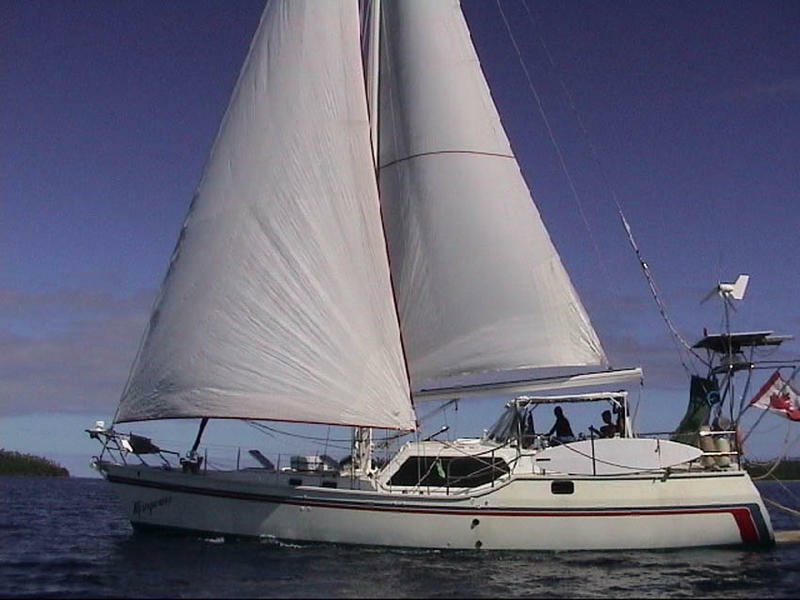 A long wing keel gives a smooth ride and shallow draft and heaves to well for safety and comfort in rough weather. 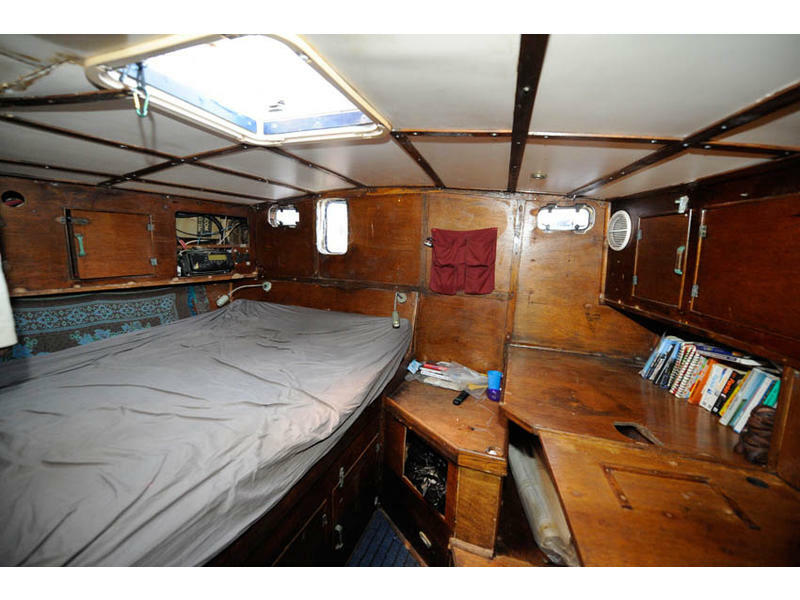 Layout is a pilothouse configuration, large master cabin aft. 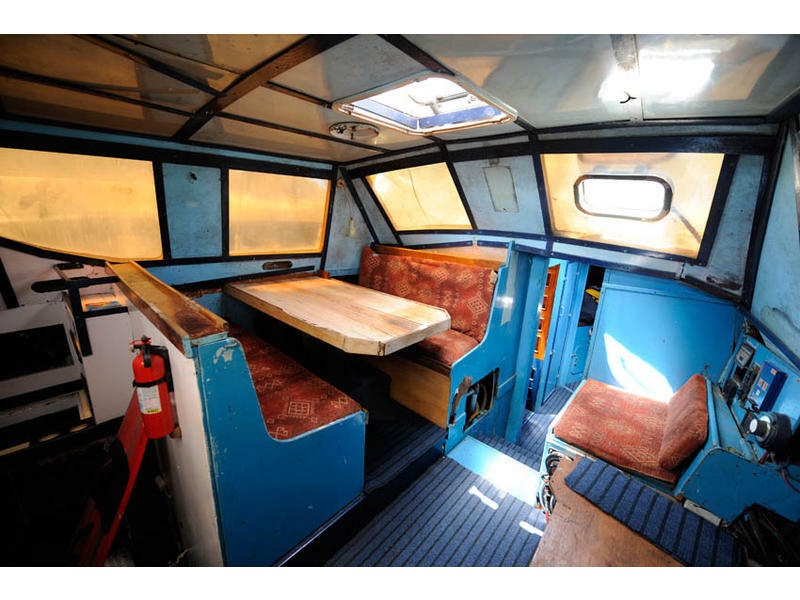 A raised saloon, kept within the cabin sides to give a view while sitting at the dinette. The workbench area is well stocked with tools to keep everything running smoothly. 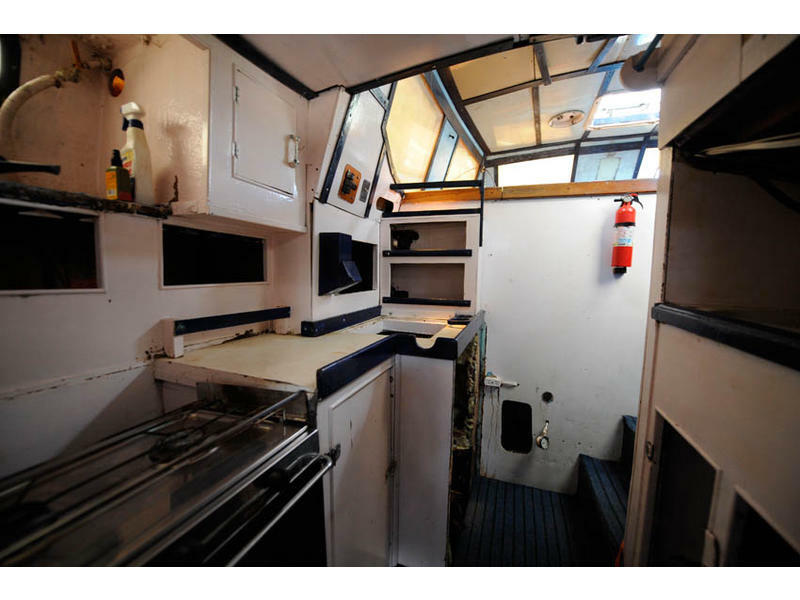 A large stern dive/swim platform provides easy access to the dinghy and with the built in lockers for dive gear and freshwater rinse shower is the ideal launching point for diving adventures. 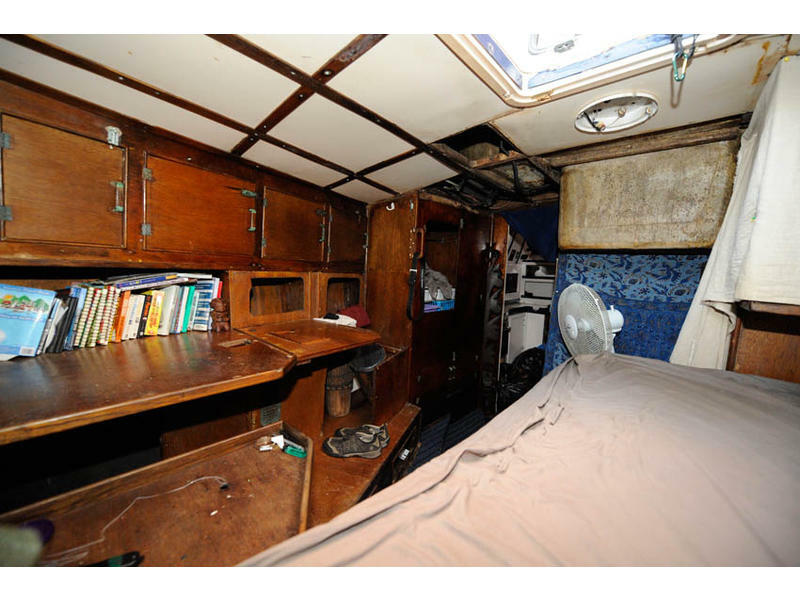 With 8 solar panels and wind generator providing energy the engine rarely has to be run just for charging the batteries. 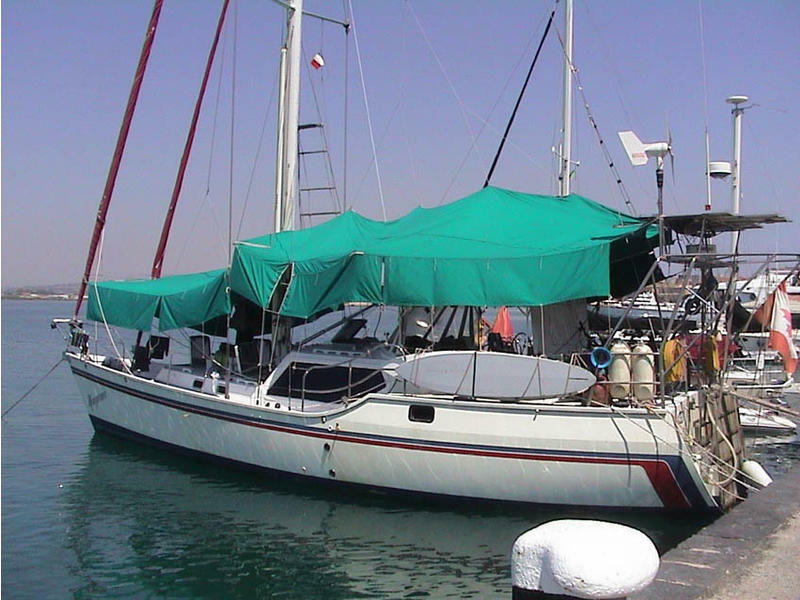 – Brand new furling Genoa foresail. 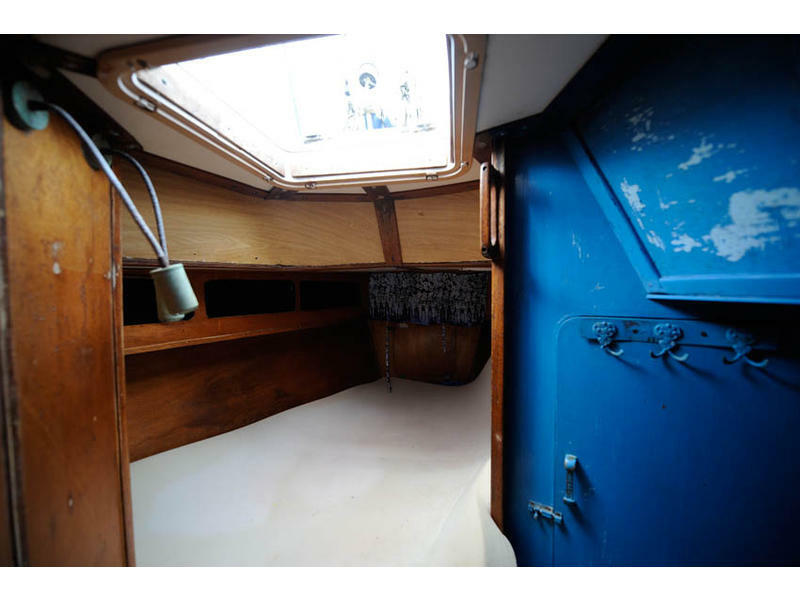 – Bottom painted Feb. 2011, 2 coats epoxy primer, 2 coats Antifouling. 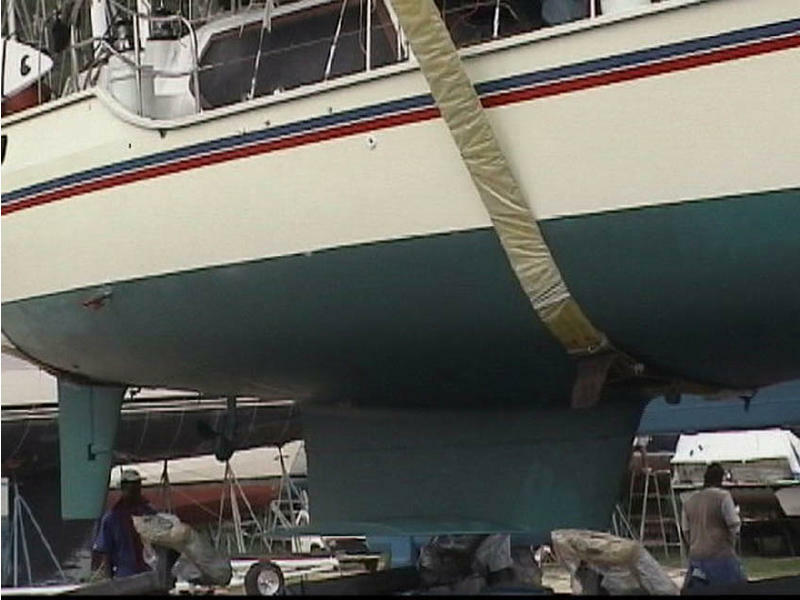 – Boot stripes repainted on topsides Feb. 2011. 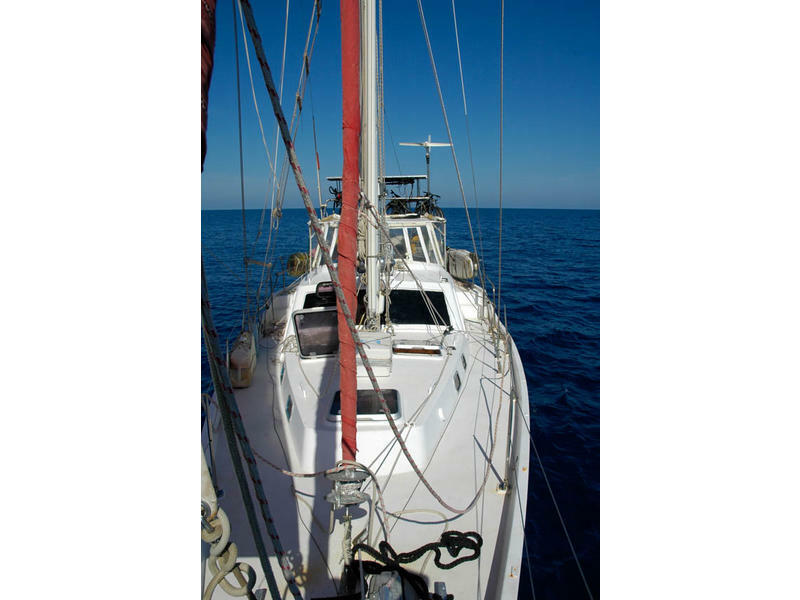 – New sunbrella furling protective cover on staysail. – New house bank batteries, 4 Trojan 220 AH 6V for 24V. – New Engine start battery. 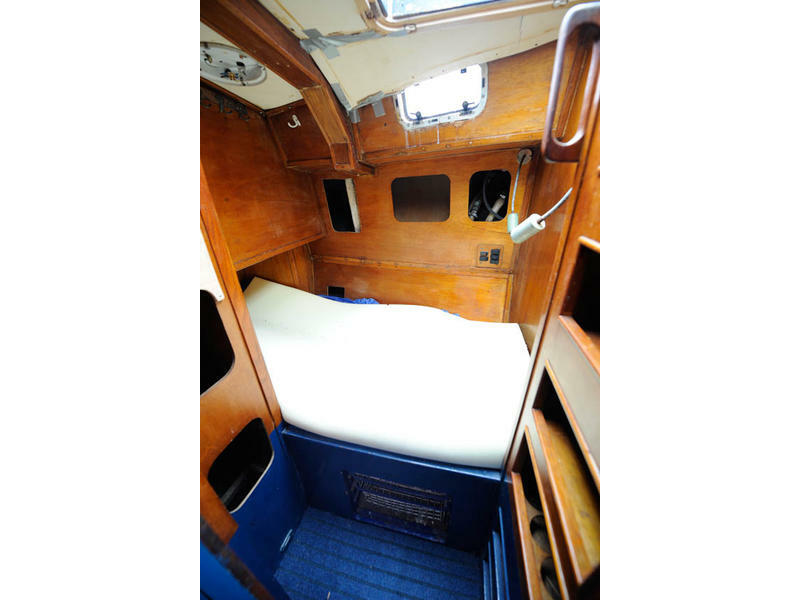 – New foam mattresses for all cabins and benches. – Handheld Emergency Watermaker (Saltwater -> Freshwater), Handheld water purifier.